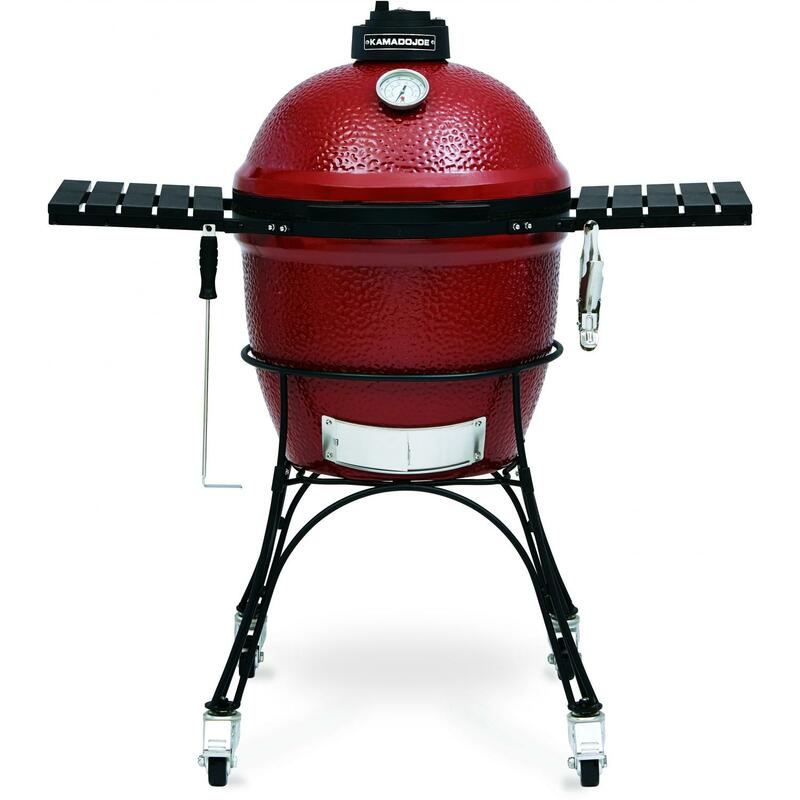 Kamado Joe presents the perfect grill for any backyard barbecue, with the Joe Junior red ceramic Kamado grill on stand. 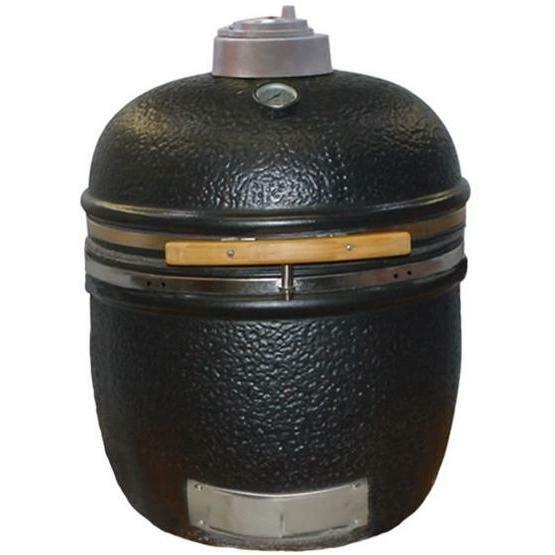 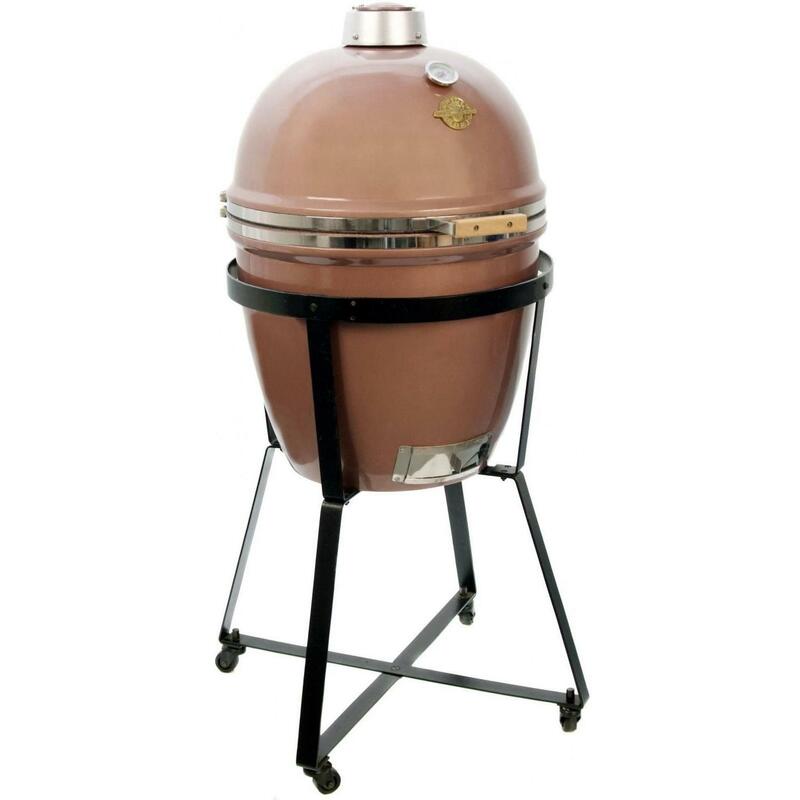 The Joe Junior Kamado is a grill, smoker and oven all in one, and can be ready to cook in 15 minutes. 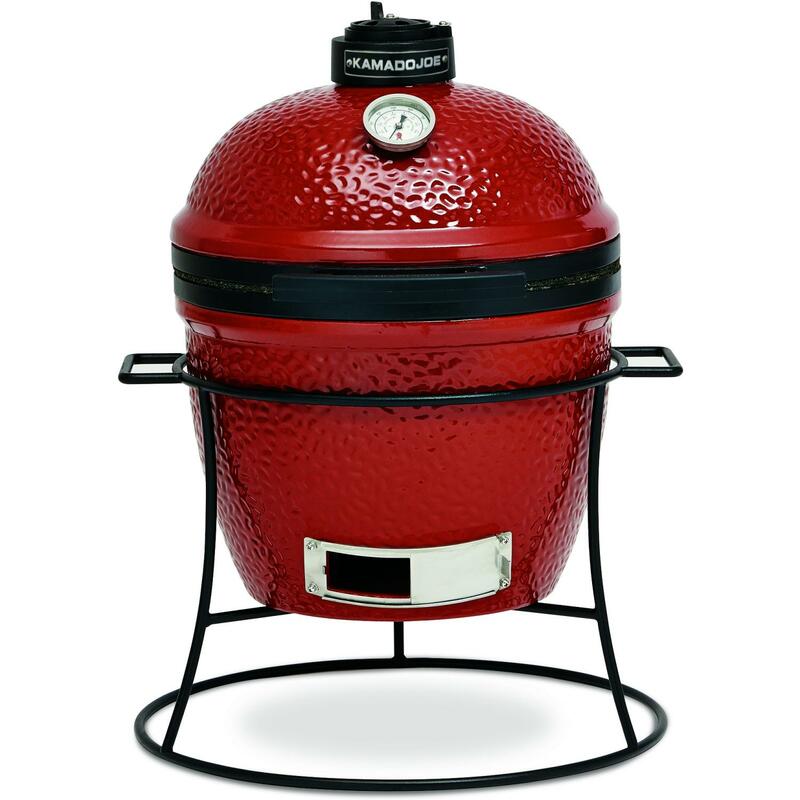 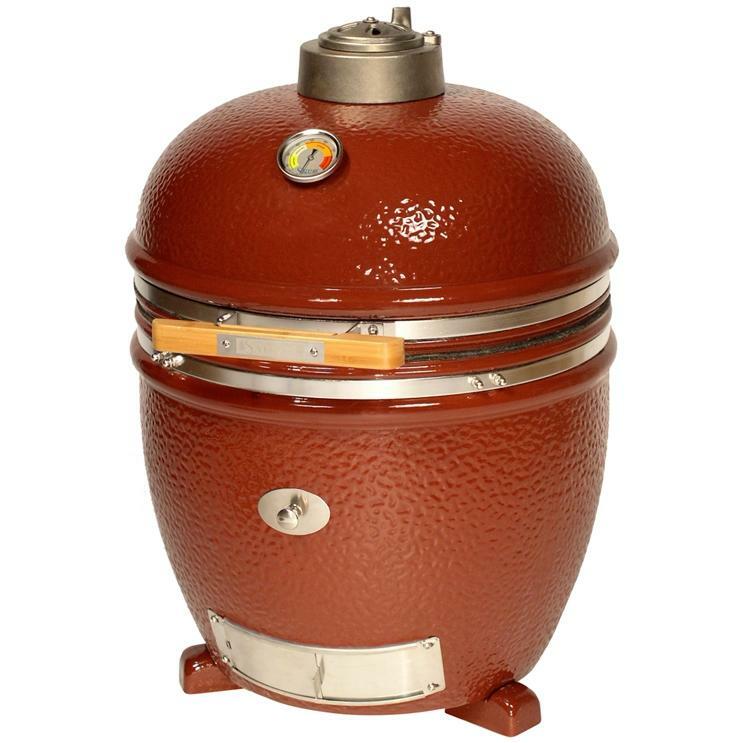 This Kamado grill is constructed from 1 1/4-inch thick ceramics, allowing it to hold heat and maintain temperature control, burning less fuel and saving you money. 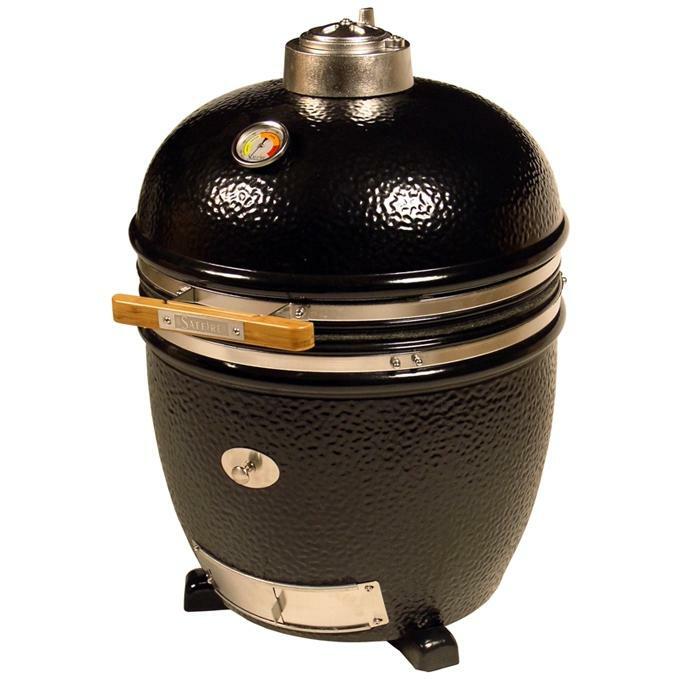 The thick, porous ceramic keeps moisture in your food, producing incredibly tender food with a true charcoal infused flavor. 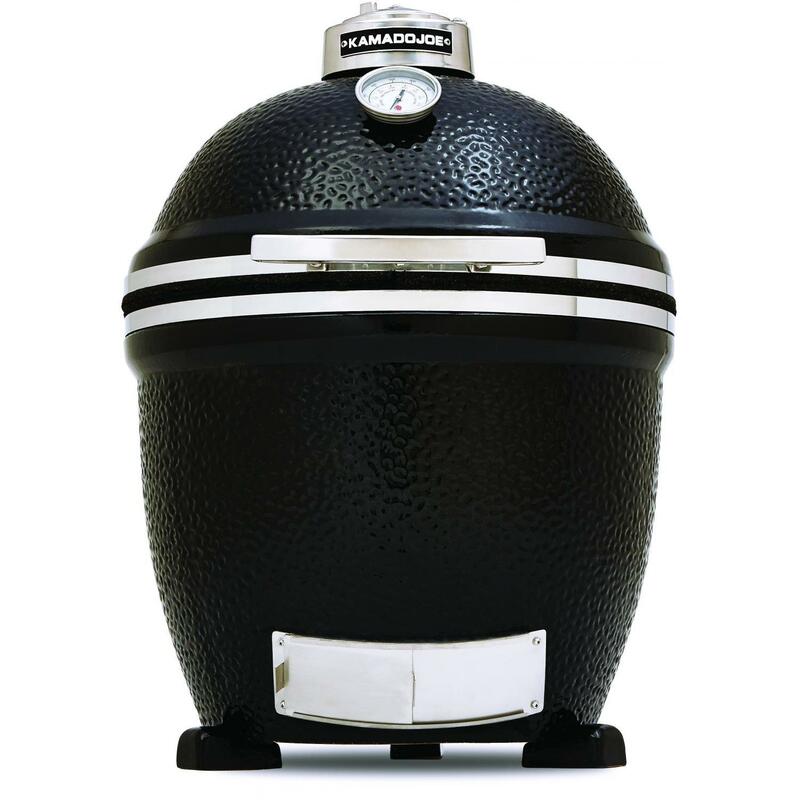 All Kamado Joe ceramic grills are crafted with a heat-resistant ceramic coating, their own special recipe, to keep your grill looking as good as it performs. 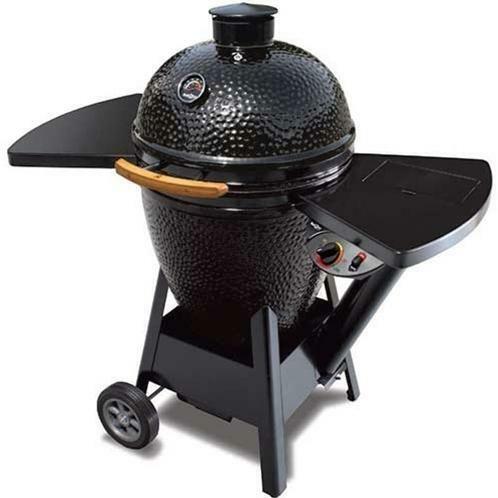 You can enjoy the luxury of cooking on 149 square inches of grilling area, with a commercial-grade 304 stainless steel hinged cooking grate that allows you to easily add more charcoal. 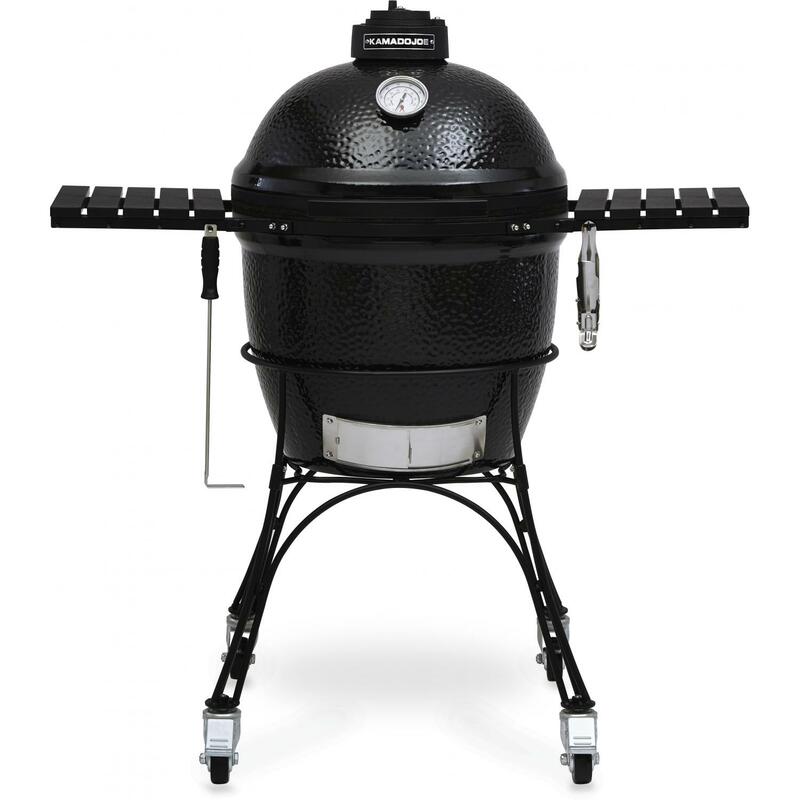 The stainless steel draft door allows you to control the airflow and temperature within the grill. 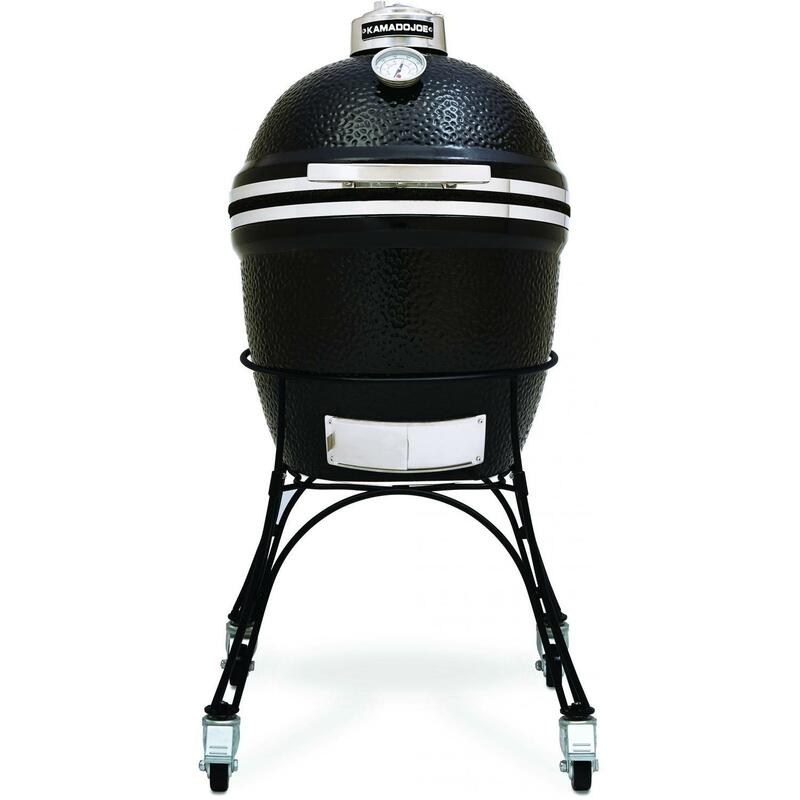 The lid hinge is made of powder-coated galvanized iron and the fire grate is made of powder coated cast iron for durability and superior heating performance. 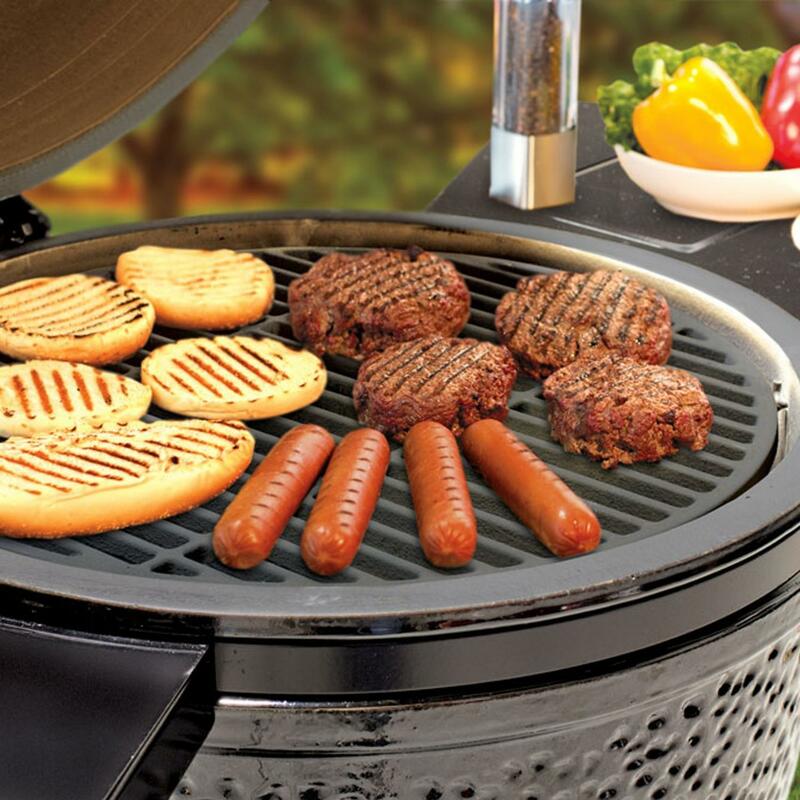 The built-in thermometer allows you to monitor cooking temperatures, even when the grill lid is shut, and the powder-coated cast iron grill stand has handles so that you can take this portable unit with you camping or tailgating. 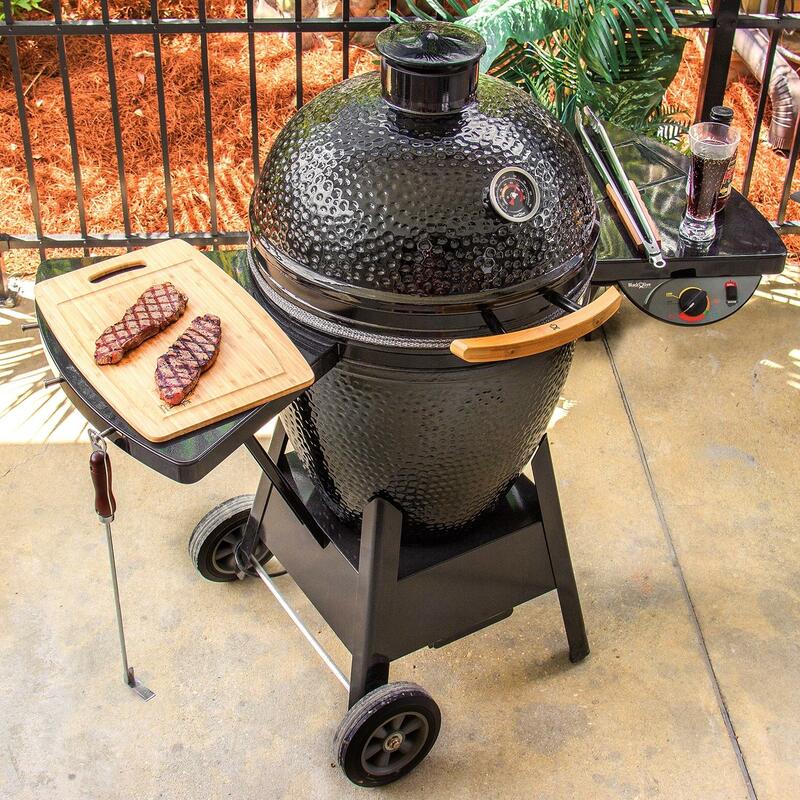 The black finished HDPE handle provides a cool, comfortable grip. 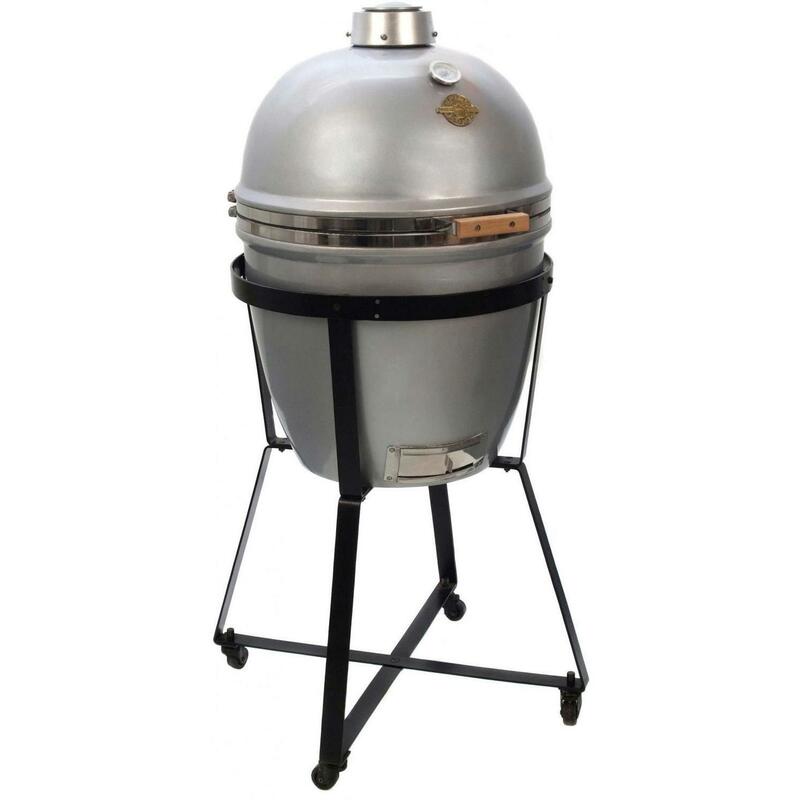 The KJ13 Joe Junior Kamado grill also comes with a free grate gripper, ash tool and heat deflector for indirect cooking. 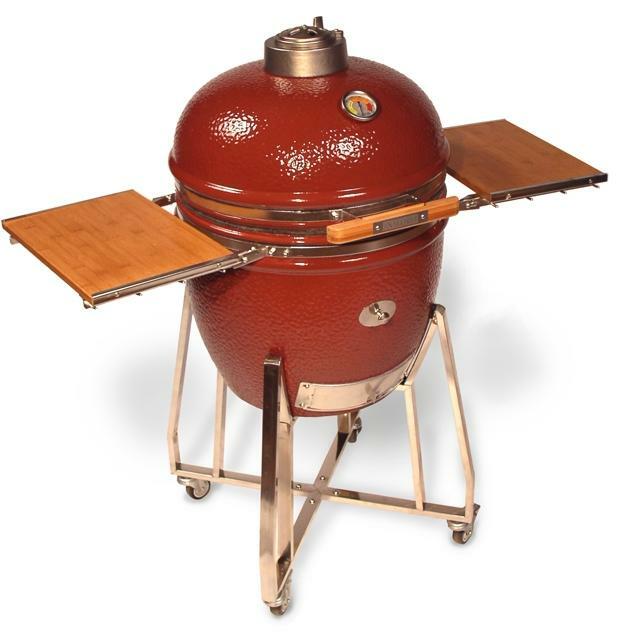 Kamado Joe introduces an affordable gas grill designed to meet and defeat any outdoor BBQ challenge. 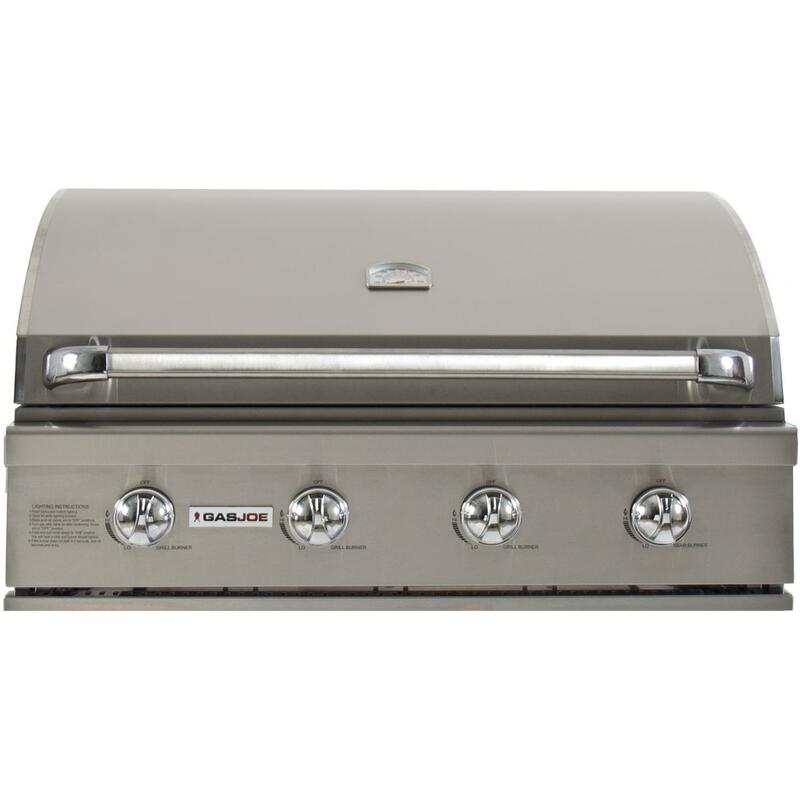 This 38-inch built-in propane gas grill comes with three tube-style burners that each deliver an impressive 16,000 BTUs of cooking power, and one 13,000 BTU sear burner for properly searing meat, for a total of 61,000 BTUs on the cooking surface. 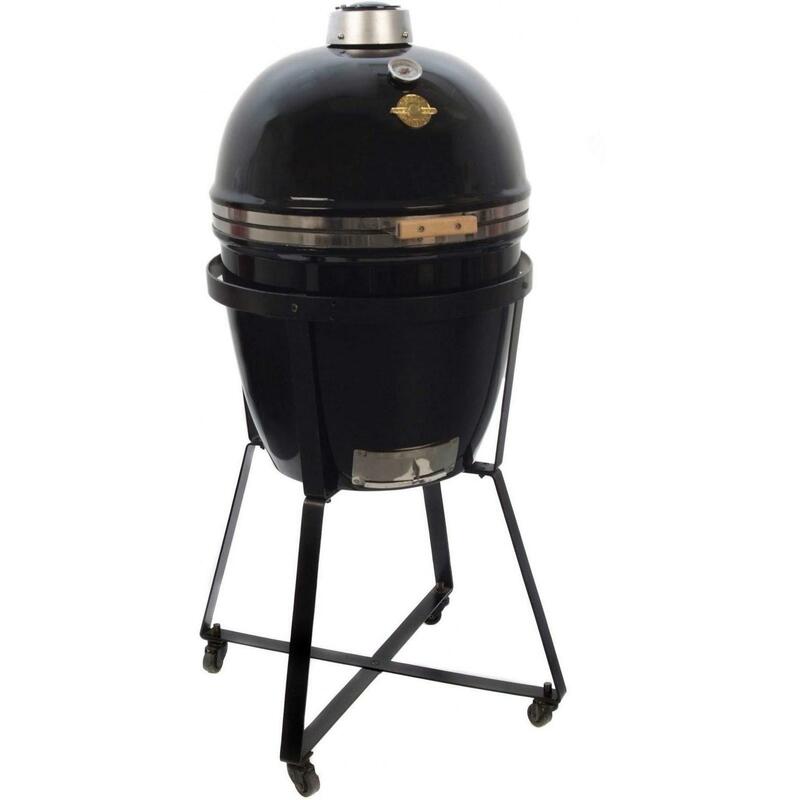 Flame thrower ignition with back up flash tubes for steady, reliable flame across durable 8mm stainless steel cooking rods that maximize your searing capability on an uninterrupted 674 square inches of primary cooking area. 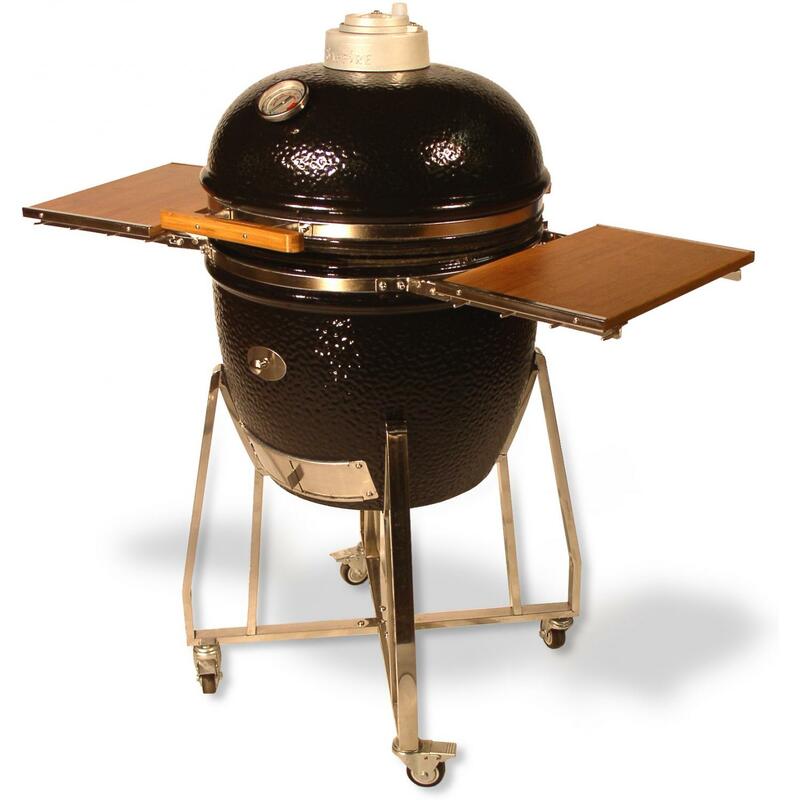 The warming rack expands your cooking area an additional 232 square inches, for a total of 906 square inches of grilling space. 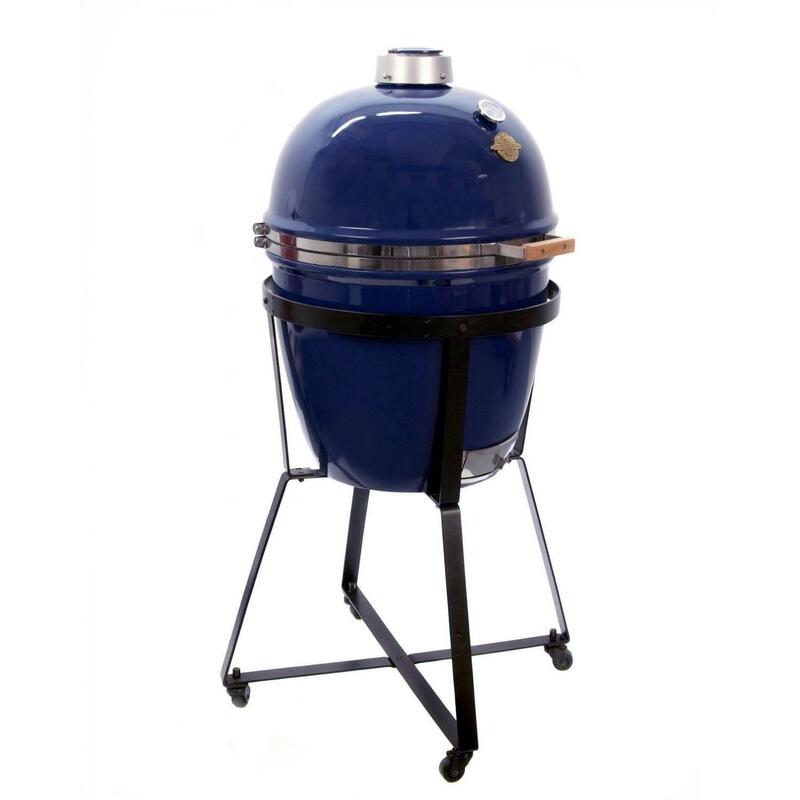 The flame tamer reduces unwanted flare-ups while you cook, and the full-size drip tray makes grease management a breeze. 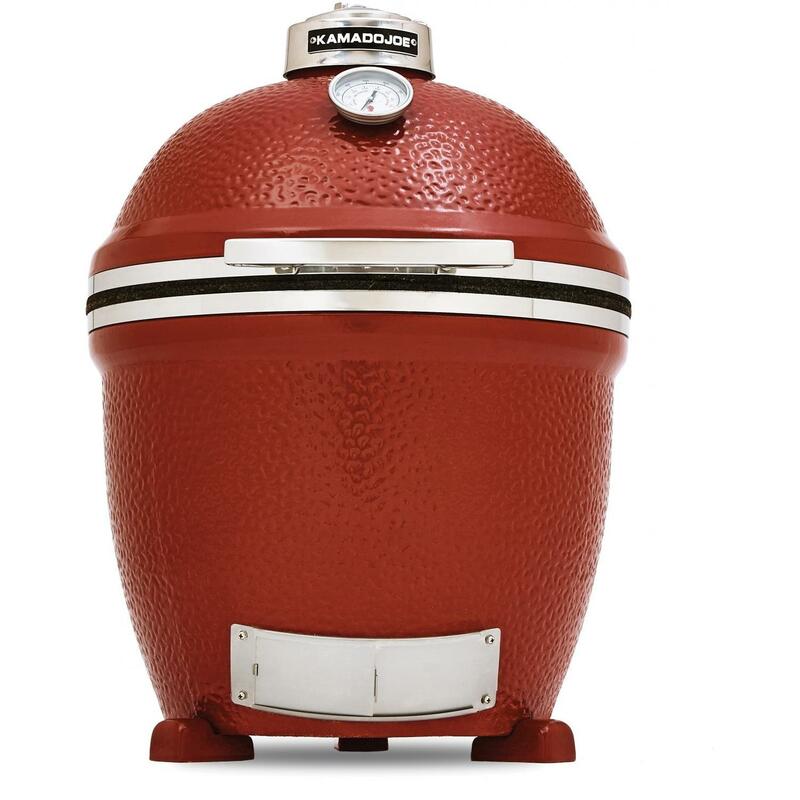 The built-in thermometer allows you to monitor internal cooking temperatures while the grill lid is shut. 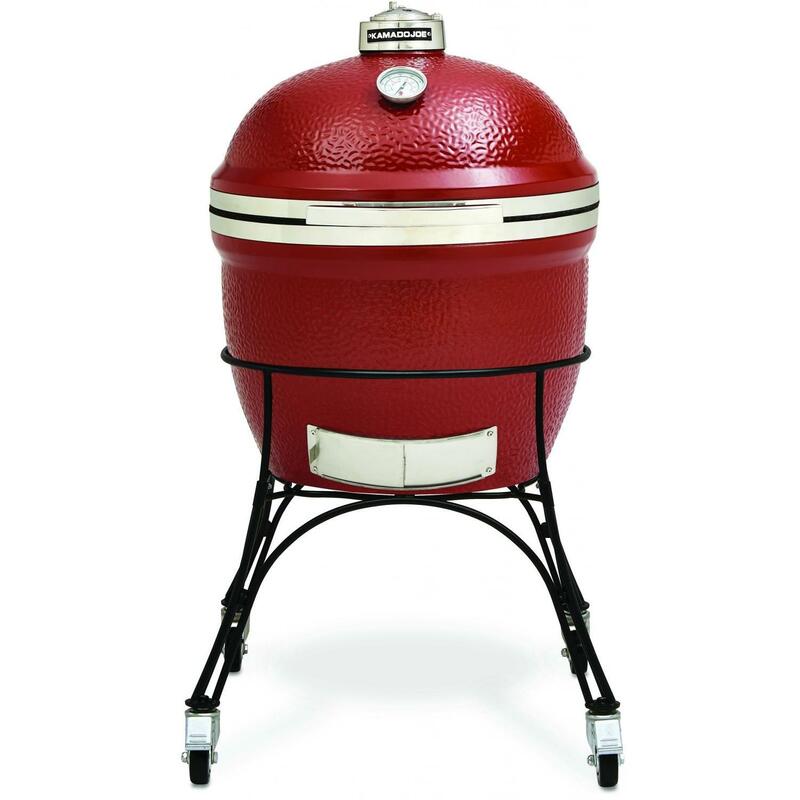 The grill knobs are a zinc alloy cast for higher impact resistance, meaning that the bumps and dings of normal wear and tear will not affect grill appearance or performance. 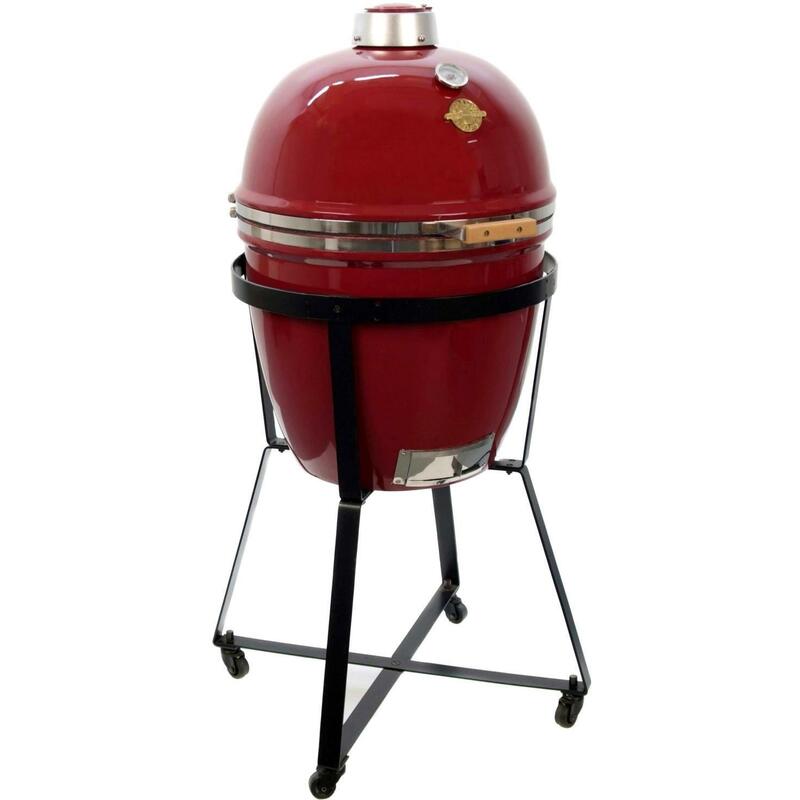 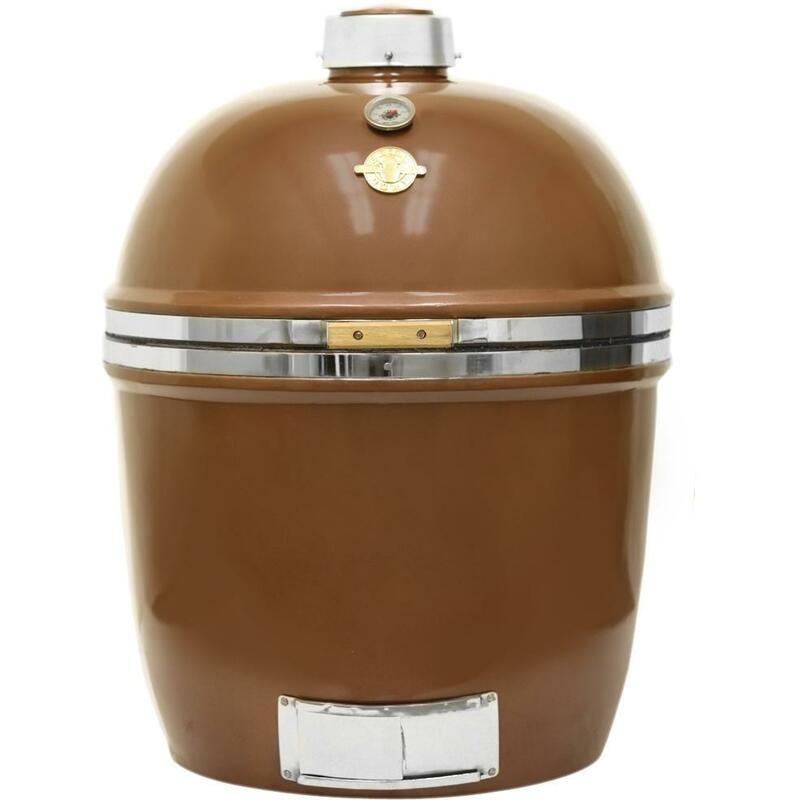 Polished edges and accents bring a touch of elegance to the unique craftsmanship of this grill, and the corrosion resistant 304 stainless steel grill hood combats the outdoor elements with heavy-duty quality, making the Kamado Joe GasJoe grill the last grill you will ever need!